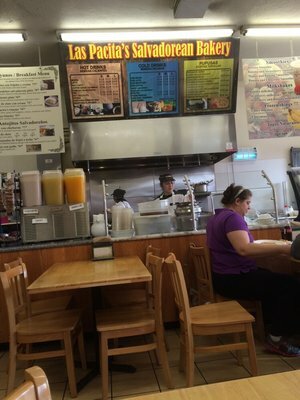 The name says “bakery” but the pupusas are the real story at Las Pacita’s. Pupusas are a traditional Salvadorean dish made of masa (essentially a cornmeal dough) filled with some combination of cheese, meat, beans, and vegetables. At Las Pacita’s the pupusas are about as good and authentic as they come. Be prepared to wait a few minutes because every pupusa is made by hand, fresh to order. 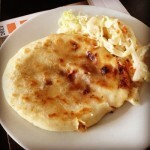 Some of the fillings, such as cactus and loroco, will be new to diners unfamiliar with Salvadorean cuisine, but you also can’t go wrong with a simple, gooey, cheese pupusa. And although it isn’t on the menu, the chicken and cheese pupusa is also excellent – and perpetually on the specials board. 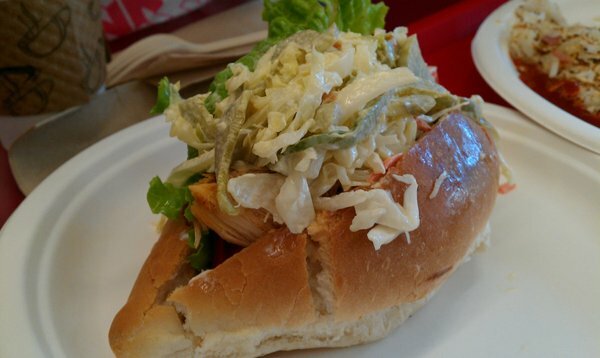 The pupusas are so good that it can be hard to stray to other parts of the menu, but adventurous diners will also discover other Salvadorean treats at Las Pacita’s. These include Yuca con Chicharron (yuca root with fried pork), Salvadorean empanadas (banana dough stuffed with beans or custard), Panes con Pollo (chicken sandwich), and Atol de Elote (a sweet, thick drink made with corn). 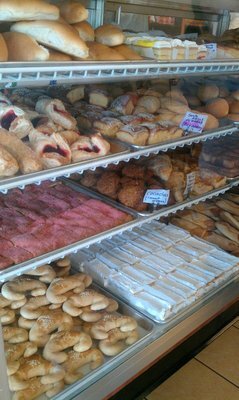 And did we mention that Las Pacita’s is also a full service bakery? 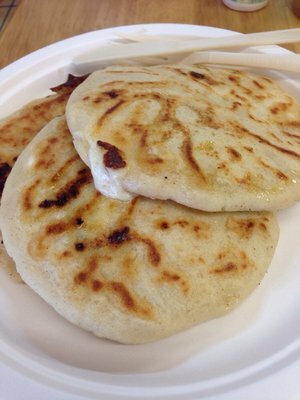 On the off chance that you aren’t totally stuffed after a couple of lunchtime pupusas, head over to the bakery side of the operation and pick from a vast array of Salvadorean baked goods. Both sides of this operation offer authentic, fresh food at a tremendous value – it’s very easy to get a full meal for less than $5. Las Pacita’s is located the southern end of the Eden Shopping Center (read about their recent facade rehab project here).